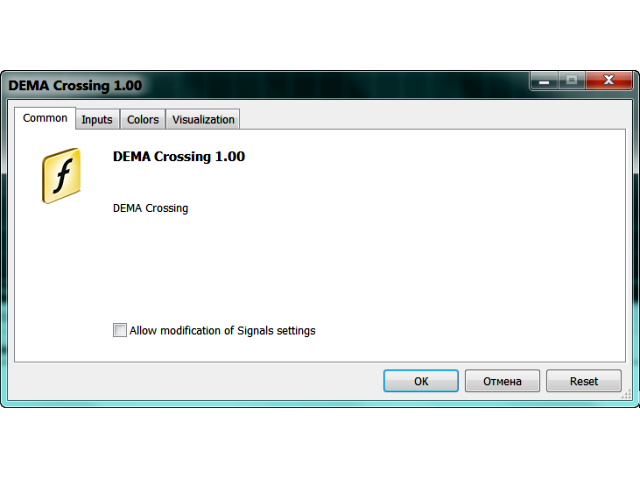 The DEMA Crossing indicator displays the intersection of two DEMA (Double Exponential Moving Average) - fast and slow. The intersection area is filled in blue, when the fast DEMA is above the slow DEMA. The intersection area is filled in red, when the fast DEMA is below the slow DEMA. The advantage of the DEMA moving average is that it eliminates false signals at the saw-toothed price movement and allows saving a position at a strong trend. 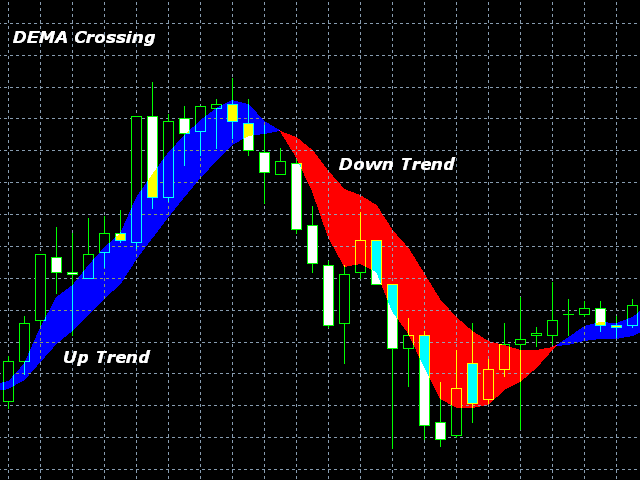 The indicator clearly defines the trend direction and power and simplifies the perception of market signals. 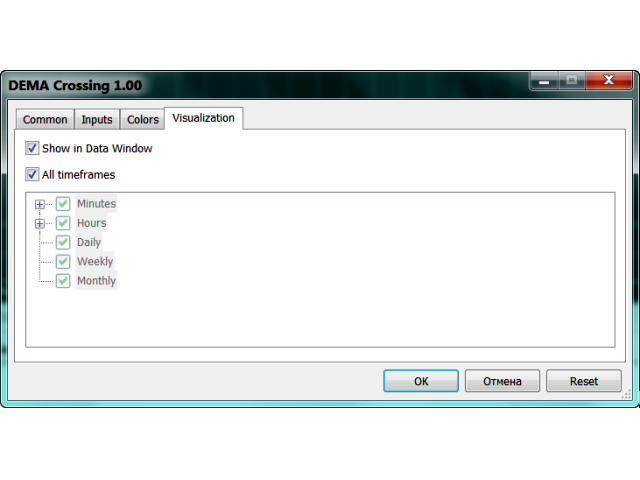 The indicator can work on any timeframes may be useful in the strategies involving two DEMA moving averages' crossing method. Applied price (Close, Open, High, Low, Median, Typical, Weighted). 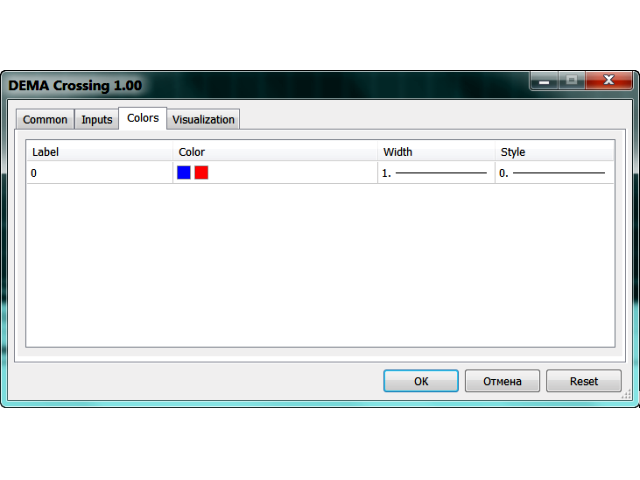 The Colors tab allows to choose the color of the indicator intersection areas. 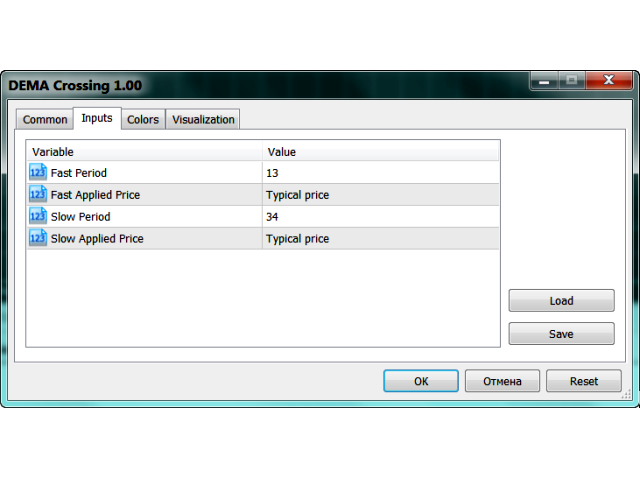 slow applied price - select from the seven applied price types for the slow DEMA.